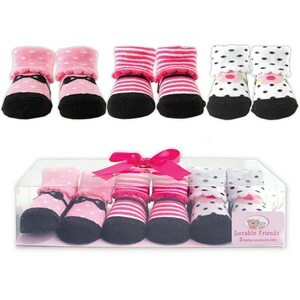 Luvable Friends 3-Piece Little Shoe Socks Gift Set is a perfect gift for a newborn baby! These socks are stretchable for better fit, soft and comfortable, and come in an acetate box with gift ribbon. 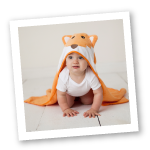 Available in blue and pink, and fits up to 9 months. Pink Mary Jane socks super cute!! Even nicer than expected and better than the boys sneaker style. Makes a great gift! !